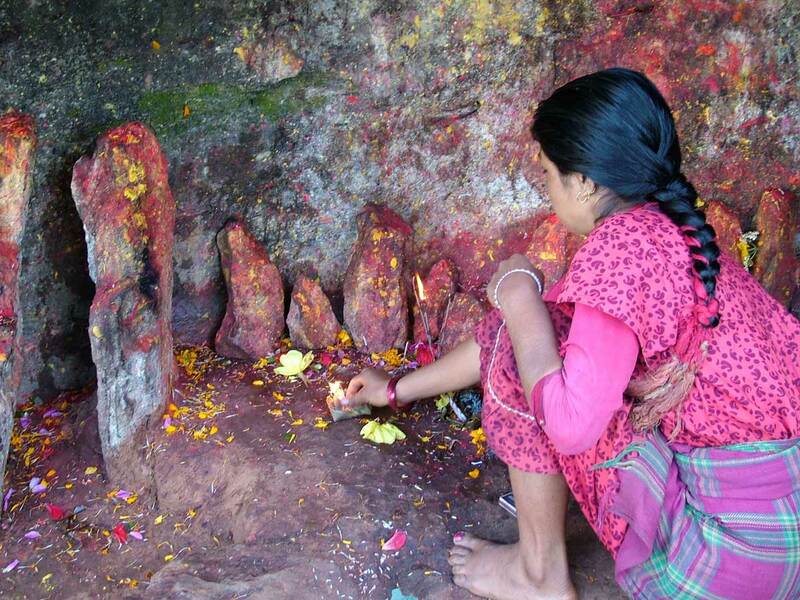 People in Nepal are quite religious, like this woman who is praying in a shallow cave in the foothills of the Himalayas. She brings flowers, incense, and brightly colored paint to honor the gods who have made themselves known through these suggestively shaped rocks and outcroppings. This daily ritual brings her joy and peace as she seeks to please god or to ask for help or to simply give thanks. She has probably never heard of Jesus Christ. Certainly I can imagine her ancestor in the year 100 AD also sincerely asking for god’s help, praying in the way she has learned. Though it had been decades since the Christ event, it would have been impossible for his message to have reached her remote Himalayan village. Would God have refused her prayers on that account? Would God refuse to save her because of her lack of faith in someone she could not have even heard of? I cannot believe that. Nor is God far distant from those who in shadows and images seek the unknown God, for it is He who gives to all men life and breath and all things, and as Savior wills that all men be saved. Those also can attain to salvation who through no fault of their own do not know the Gospel of Christ or His Church, yet sincerely seek God and moved by grace strive by their deeds to do His will as it is known to them through the dictates of conscience. This young Himalayan woman, like her ancestors, is sincerely seeking to do god’s will as it is known to her. I do not worry that God can save her. I do not know how God does that, but I trust in God’s goodness and love. I believe that the center of God’s work of salvation is the incarnation, death and resurrection of Jesus and that she is saved somehow through the power of that Christ event even though no one can see how. Well, no one but God, and perhaps the saints in heaven.